Life is full of surprises, and it is difficult to anticipate what is going to happen tomorrow much less next week, next year, or within the next ten years. Because of this, parenting plans are hardly ever set in stone, and if a parent or parents want to modify an existing plan, they have the option to. Whether your circumstances have changed or your child’s other parent’s circumstances have changed, you may request a modification to your existing schedule if you believe that doing so is in your child’s best interests. To obtain the best possible outcome, it would be wise to work with an experienced Fort Lauderdale child custody attorney. At the office of Edward J. Jennings, P.A. our attorneys will fight on your behalf to ensure that you receive the parenting time that you desire. There are several reasons that may convince a judge that a modification to a parenting plan is in order, one of which is that the child merely outgrew the existing plan. For instance, if Mom and Dad split when the child was just six months old, the judge may have determined that living with Mom for a majority of the time was best, as the child may have been breastfeeding at the time, and Mom may have had more flexibility with her schedule. However, if the child is now six years old and in school full time, and if both Mom and Dad start work at 8:00 a.m. and get off at 5:00 p.m., it would not make sense for Dad to lose out on parenting time because his child was breastfed as a baby. In such an instance, the judge may modify the order to grant Mom and Dad equal amounts of custody. The child is in danger. For the complete list of reasons that the State of Florida may choose to revise an existing parenting plan, review Florida Statutes 61.13 (3). Depending on the type of change you wish to make to the parenting plan, the modifications may be major or they may be slight. Minor modifications do not change where the child lives a majority of the time, and no more than 24 days out of the year are changed. These modifications are made because there has been a slight adjustment in a parent’s or the child’s schedule, and the changes were made to account for them. A major modification, however, is much more significant and usually stems from the fact that the current parenting plan is no longer in the best interests of the child. For instance, if it is discovered that one parent abuses drugs while with the child, the sober parent may gain sole custody. 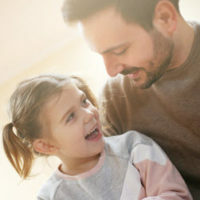 The other parent may be given the opportunity to clean themselves up and reapply for custody, but usually, if they fail to do so within a certain amount of time, their chances of regaining custodial rights is slim. One parent has been convicted of custodial interference. If you want to modify your current parenting plan, let our team at the office of Edward J. Jennings, P.A. help. We will review your reasons for wanting a modification and determine the best way to proceed from there. To schedule a consultation with one of our compassionate legal associates today, contact us by phone or online.